...got a Costco Magazine yesterday. 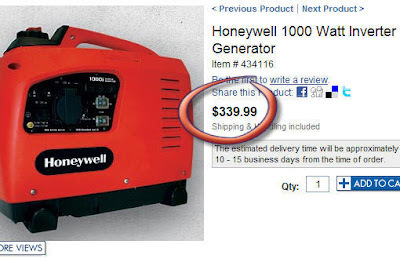 The Honeywell 1000 watt generator is going to be "$100 off" next month. Sounds good, but our dollar is worth about 95 cents U.S. today. 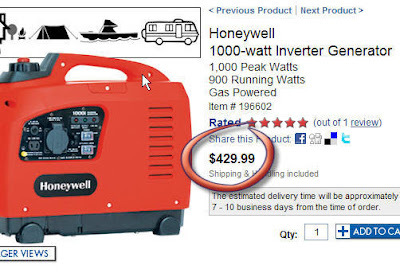 How come there's such a drastic price difference in this product, depending on whether you go to costco.ca or costco.com ??? All of a sudden, that $100 off coupon is not so attractive anymore is it ? ?